Data analysts who can capture an organization’s world of data and translate it into understandable, actionable stories are invaluable to the modern business. Fortunately, you don’t need to be a master storyteller to tell amazing stories with data. It’s never been easier to connect to all your data, clean it, shape it, model it, and translate it into stunning visualizations that enable smarter decisions. With Power BI, you can do it all yourself, and you can get started for free. Our new eBook, the DIY Guide to Dazzling Data will help you become the data hero your company needs. Within minutes you can transform raw data into personalized dashboards that provide answers to your stakeholders’ most important questions. Let the data dazzling begin. 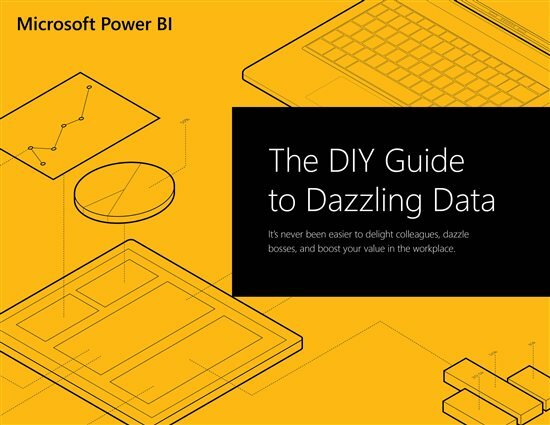 Claim your copy of The DIY Guide to Dazzling Data today.